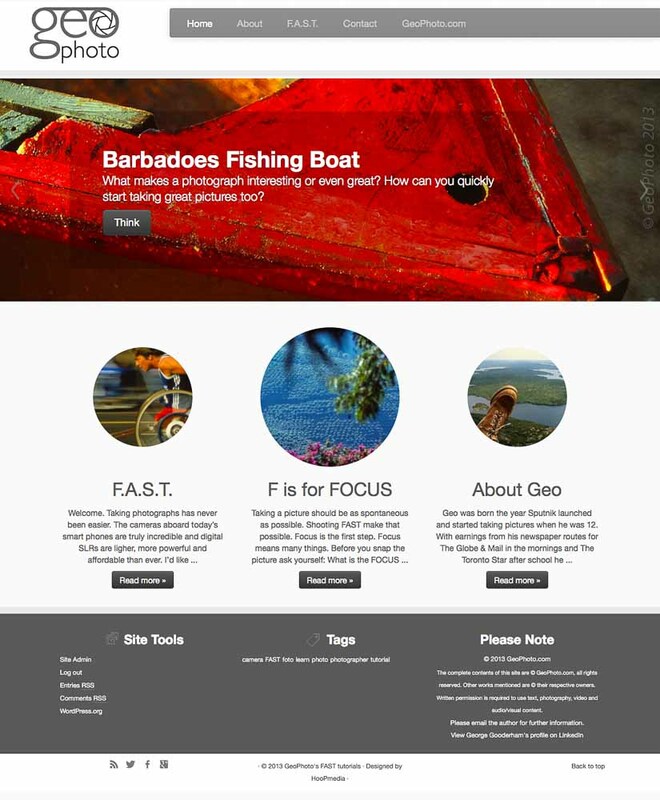 Built on a WordPress Theme with BootStrap 2, FAST.GeoPhoto.com went live with the GeoPhoto.com site in late October 2013. While the content and design are constantly progressing it was decided to launch with GeoPhoto.com and grow the site in the open. Design for FAST needed to continue the branding and theme of the parent site GeoPhoto.com which was built with BootStrap 3 support and written by hand. Customizr WordPress theme was an excellent fit and a child theme as created for the FAST site. Minor differences between Twitter 2 and 3 posed some early problems with the custom CSS style sheet that was to be share across both sites. As the web grew in popularity the name changed in 1995 to Radiant New Media. This concept spoke to new ideas radiating outwards becoming powerful data waves for "Web Surfers" to discover. By fall 1996 that brand had not really found a connection with the public either so it was again changed.